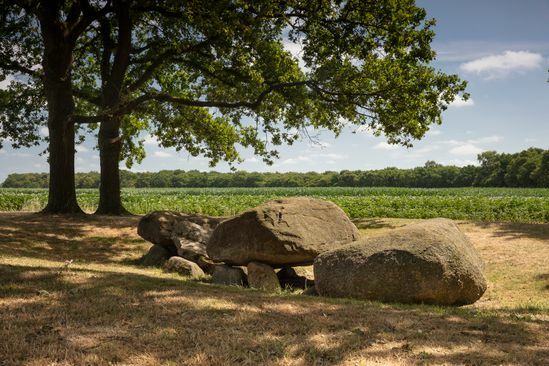 Drenthe has 52 dolmens. Some, which are described below, can also be found in the Kop van Drenthe. 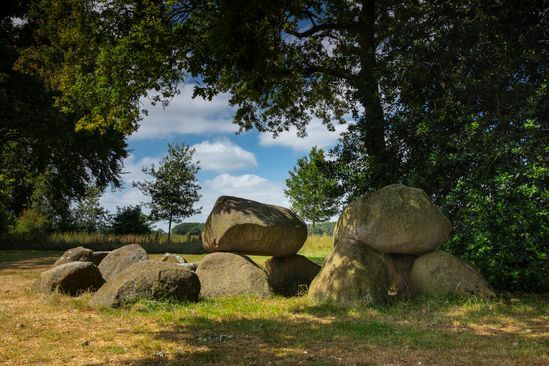 You can find a complete list of all dolmens in Drenthe here. Lots of stories are circulating about Dolmens. 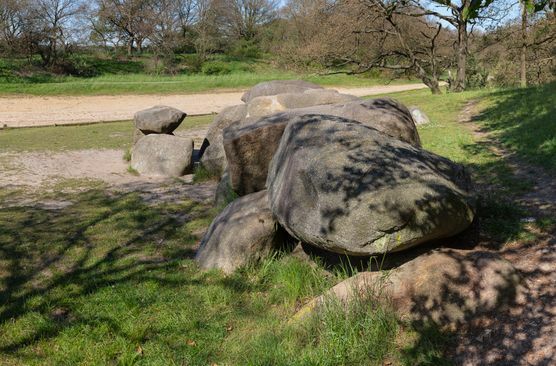 For example, it was once believed that these were stone beds, or that the heaps of stones were made by giant people, also referred to as Huynen. ‘Hunebed,' the Dutch word for dolmen, was supposedly derived from this. Nice stories, but nowadays, we know better. Dolmens are burial chambers from the New Stone Age, the period of 3200 to 3400 B.C. They were built by the first permanent residents of Drenthe, the so-called Funnelbeaker People. The largest dolmen of Drenthe is in Borger, which is just a half hour drive from Norg. Here, you can also find the Dolmen Centre. This museum takes you all the way back to the prehistoric era and tells you the story of the dolmens.